Are you passionate about hiking, running, walking or another hobby? We need your help to end Alzheimer's on the Summer Solstice! 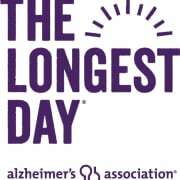 The Alzheimer's Association of Greater Richmond is looking for volunteers to help us with our newest national signature event, The Longest Day. You are invited to start your own fundraiser with an activity of your choice to raise funds to end Alzheimer’s! The day with the most light is the day we fight. Between now and Thursday, June 21, 2018, people across the world will do what they love, to honor those they love with Alzheimer's. Together, we will raise funds and awareness for the care, support and research efforts of the Alzheimer’s Association. To register, visit alz.org/thelongestday or contact: Kelly Lukschander, kalukschander@alz.org for more information.